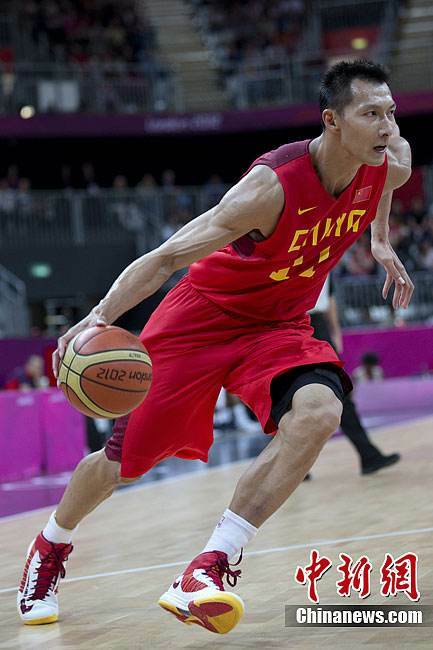 File photo of Yi Jianlian. Yi Jianlian had 36 points and eight rebounds to help Guangdong smash Jilin 132-111 in the 42nd round of the 2018-2019 Chinese Basketball Association (CBA) league on Sunday night. Jilin led the first quarter 33-26, before Guangdong overtook the lead in the second quarter and widened it to 100-83, making the last period as training performance. Yi also became the only CBA player who scored more than 10,000 points and took 5,000 rebounds. Michael Beasley scored 27 points and Clarence Weems had 24 points for Guangdong. Maciej Lampe had 28 points and 15 rebounds for Jilin, and Dominique Jones added 24 points and 10 rebounds. Aaron Jackson got the game-high 41 points and 10 rebounds to help Beijing beat Tianjin 103-92 at home to stop their three-game losing streak. Shi Deshuai had a team-high 27 points for Tianjin, and Andray Blatche added 21 points and 15 rebounds. Elsewhere, Zhejiang smashed Bayi 116-89, Tongxi edged Shanghai 110-104, Shandong beat Jiangsu 122-83, Shenzhen lost to Guangzhou 117-97, Fujian defeated Qingdao 136-118.